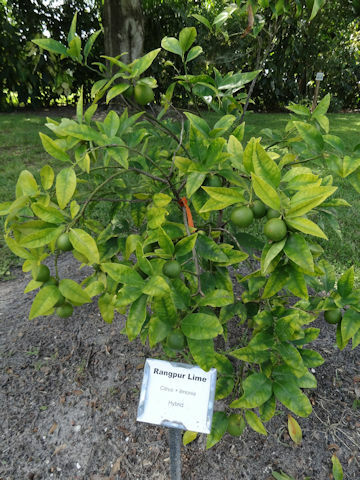 Rangpur lime (Citrus x limonia) belongs to the Rutaceae (the Citrus family). 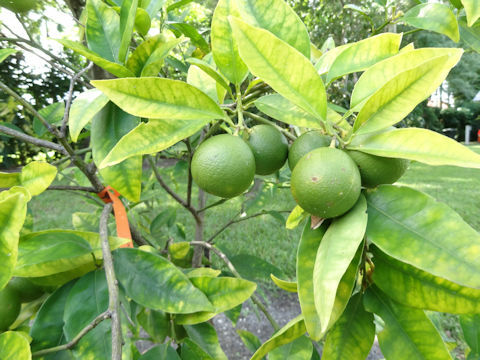 It is small evergreen tree that is a hybrid between the mandarin orange (Citrus reticulata) and the citron (Citrus medica). 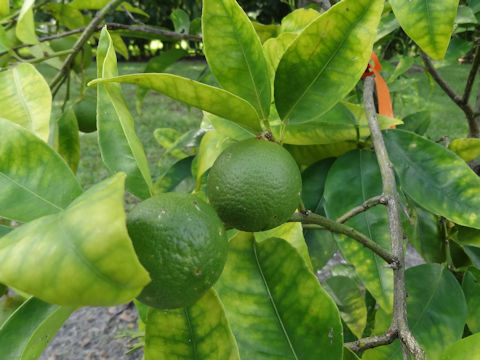 Rangpur lime is highly acidic with orange pee and can be used as a substitute for commercial limes. Just the same, there are very few similarities between the rangpur lime and other fruits called limes. It is cultivated as an ornamental tree in the United States.